Universal Studios Hollywood has announced that starting on June 23, visitors to The Wizarding World of Harry Potter will experience the all-new Nighttime Lights at Hogwarts Castle spectacular. The light projection show will shine on the Hogwarts School of Witchcraft and Wizardry, highlighting the four houses of Hogwarts, including Gryffindor, Ravenclaw, Hufflepuff and Slytherin. A state-of-the-art light display and special effects projection will be accompanied with the musical arrangement created by Academy Award-winning composer John Williams and performed by the London Symphony Orchestra. Nighttime Lights at Hogwarts Castle will be a summertime feature taking place multiple times a night. The new show is the latest addition to The Wizarding World of Harry Potter—a theme park area of Universal Hollywood based on the stories and characters of the popular movie and book series. 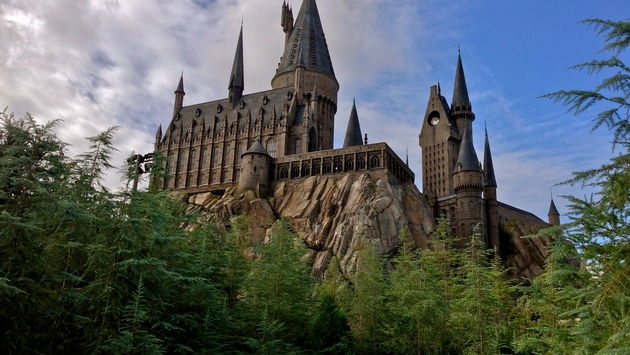 The Wizarding World of Harry Potter has become one of the most popular theme park attractions in the world, leaning on the realistic architecture and details that help transport guests into the stories they love. In addition to themed rides like Harry Potter and the Forbidden Journey and Flight of the Hippogriff, the area also offers authentic food and beverages at multiple locations themed after eateries in the Harry Potter movies and books.